I discovered Gem Preiz’ art this year and wrote about it in this blog. 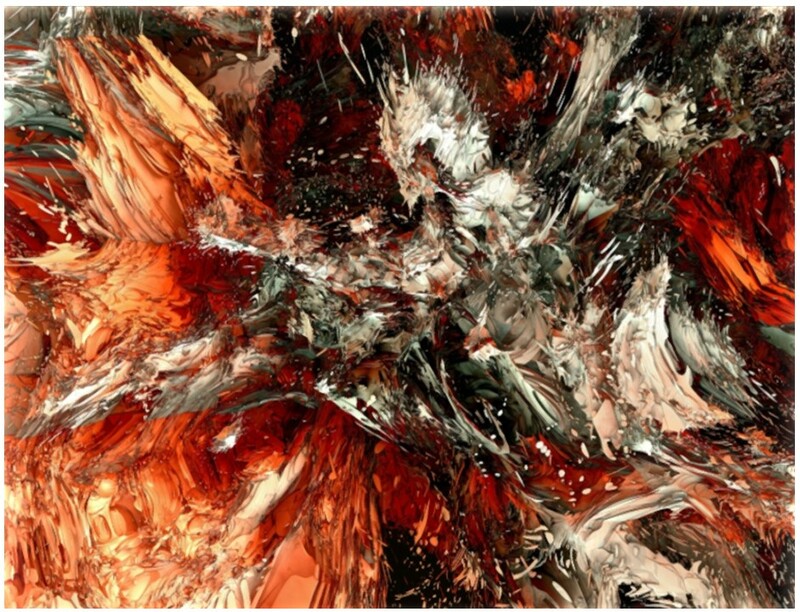 I saw “No Frontiers” and I saw his exhibtion “5 years of Fractals“. A few days ago I got an invitation from Gem Preiz to visit his latest exhibition called “Chaos” at “The Eye Art Gallery“. 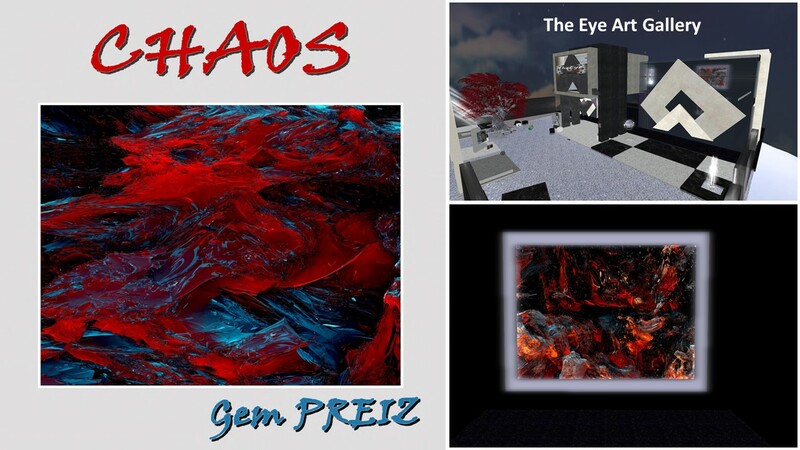 Considering that Gem uses fractals for creating his Pictures, “Chaos” seems to be the opposite of what is underlying his art. “Confronted with the mysteries of the origins and with the question of the determinism of the Nature, Mankind from Hesiode’s theogony to the most recent mathematical theories, wanted to tame the Chaos, first by naming and personifying it, then much later by putting it in equations, still unsolved. Look for an underlying structure in the formless and for causes of the unexplained, here is the rock which the Man-Sisyphe pushes in front of him in his secular effort to understand the Universe and dominate it. You can look a few seconds or a few hours at each picture, you won’t recognize any system, any order or any equation that describes it – it looks like chaos. Just the knowledge that it is no chaos won’t help you solving this mystery. And if you neglect this fact and don’t search for the system, then you can see what your mind wants to see within the chaos. I saw landscapes, rocks and water, I saw vulcans and fire. Amzazing pictures, Gem! Thank you. “Chaos” is presented at The Eye Art Gallery in November 2017. The Eye Art Gallery is owned by Mona (monabyte) and has a monthly changing exhibtion as far as I understood. Unfortunately Mona’s profile is in Spanish (maybe another language?) and I couldn’t find our more about the Art Gallery but I saw some names in the member list that sound familiar to me. Thank you Mona (monabyte) for enabling this exhibtion of Gem.